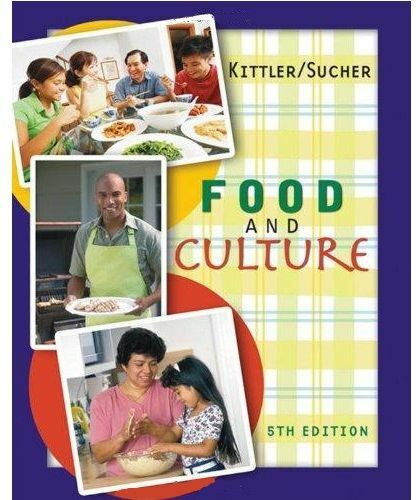 Food and culture is the market-leading text for the cultural foods courses, providing information on the health, culture, food, and nutrition habits of the most common ethnic and racial groups living in the united states. It is designed to help health professionals, chefs, and others in the food service industry learn to work effectively with members of different ethnic and religious groups in a culturally sensitive manner. Authors Pamela Goyan kittler and Kathryn p. Sucher include comprehensive coverage of key ethnic, religious, and regional groups, including native Americans, Europeans, Africans, Mexicans and central Americans, Caribbean islanders, south Americans, Chinese, Japanese, Koreans, southeast Asians, pacific islanders, Greeks, middle easterners, Asian Indians, and regional Americans.